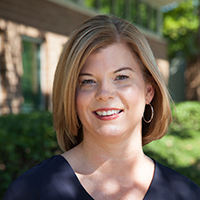 Ms. Rauworth joined Lakeshore Foundation in 2012 as the Director of Policy and Public Affairs. She also works within the University of Alabama Birmingham/Lakeshore Foundation Research Collaborative where she is the Associate Director of the National Center on Health, Physical Activity and Disability (NCHPAD). Ms. Rauworth is a Registered Clinical Exercise Physiologist with the American College of Sports Medicine. Ms. Rauworth conducts Inclusive Fitness trainings nationally on behalf of NCHPAD and specializes in accessible fitness center design. She serves on several national committees including the Paralympic Research and Sport Science Consortium, American Society for Testing Materials (ASTM) F08.30 Fitness Products: WK19803 Inclusive Fitness Equipment Design Task Group, and National Recreation and Park Association (NRPA) Health and Wellness Advisory Panel. Through an initiative lead by UNICEF, The Global Partnership on Children with Disability (GPcwd), she co-chairs the task force on Physical Activity and Sport. She was appointed to CDC’s Division of Nutrition, Physical Activity and Obesity Accessible Trails and Recreation Venues Work Group. In Alabama, Ms. Rauworth was appointed to the Alabama Trails Commission. Ms. Rauworth leads the content development, synthesis and training within NCHPAD. In addition, Ms. Rauworth has over 21 years of experience in health promotion development and implementation, focusing on the delivery of physical activity programming for people with disability across the lifespan. Ms. Korb holds an undergraduate degree in Public Administration from Kean University and a Masters of Sports Management from Georgia State University. She is deeply passionate about inclusion of persons with disabilities at every level of sport and life. She has served on the coveted USOC/USP Athletes Advisory Council for the past eight years and represents seven sports. She is a certified life coach with the International Coaches Federation and offers a highly diverse level of experience having worked with local, national and international clients of varying organizations to create ongoing opportunities for sports integration. Most recently, her efforts in sports diplomacy have taken her to Trinidad and Tobago, Germany, Colombia, Bulgaria, Hungary and Romania. Korb has also worked with Lakeshore Foundation’s Lima Foxtrot programs for injured military since 2006. 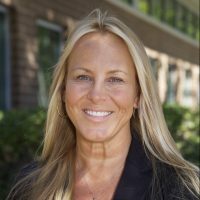 She has worked on behalf of the International Tennis Federation’s Global Development Initiative, 1Team Global Action, NBC Universal Sports, both the United Nations International Sport and Social Impact Summit and Women’s Initiatives and most recently Champions for America’s Future. Her career in both advocacy and policy has spanned over two decades, and she always has her eyes on the pulse of humanity and how she can best represent the vision of inclusivity on behalf of those who are too often, voiceless.